Dr. Ryan Nobles was born and raised in New Orleans, LA. His passion for helping others was instilled in him at a very young age. Being part of a large family, most of whom were medical doctors and nurses, patient care was almost always the topic of discussion at the dinner table. It was through his training as a Physical Therapy Tech that he decided to go to chiropractic school. 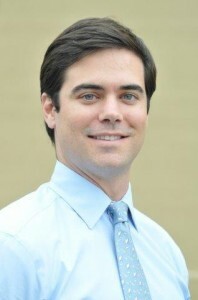 Upon graduating LSU with a Kinesiology degree specializing in human movements, Dr. Nobles attended Texas Chiropractic College in Houston, Texas, where he decided to specialize in sports injuries. He was chosen to be part of Rice University’s Athletic Internship program; he finished his requirements at a record of six months early. Dr. Nobles worked as an associate Doctor in Phoenix, Arizona in a multispecialty clinic that was cutting edge in patient care. Dr. Nobles worked side by side with a cardiologist, neurologist, Physical Therapists, and dentist, scrubbing in on multiple surgeries to observe and learn how to effectively coordinate patient care to provide the best possible continuity of care to the patient). He then moved back to Louisiana where he perfected his adjusting skills in a very large Chiropractic facility on the north shore of New Orleans. Seeing up to 100 patients per day, Dr. Nobles sharpened his skills as a Chiropractic adjuster. Upon moving back to New Orleans, Dr. Nobles began to work with a vast variety of athletes from high school to Tulane, Loyola, UNO universities and the New Orleans Saints. It was there that he learned under the best in his profession treating the city’s most elite athletes and their family members. Getting athletes back on the field as quick as possible was his personal goal. He is trained and certified in Active Release Technique (ART), Graston soft tissue mobilization techniques, kinesio taping, and spinal decompression which are used regularly with athletes to maintain the high level of function and performance that their sport demands. These are the gold standard technique that every major professional athlete expects and is used in almost every NFL, MLB, NBA, and NCAA facility. Dr. Nobles is Ironman certified and has traveled to many Ironman competitions to assist the medical staff in preparing and treating Ironman athletes the week prior to and the race day. His interest and unyielding desire to advance his studies has taken him across the country to train with top specialist in their respective fields, to learn the latest therapies and nutritional advances. Dr. Nobles passion for his profession and promise to get every person better as quick as possible will continually drive him to stay on the cutting edge of patient treatment.